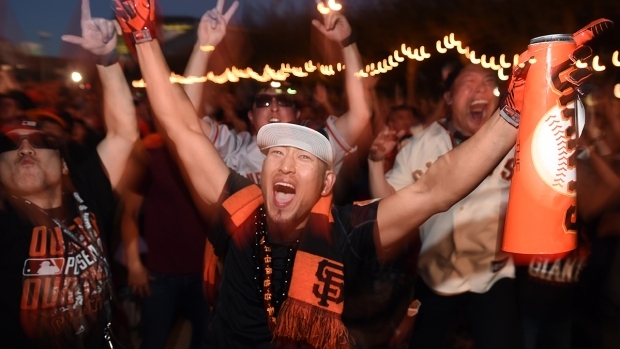 The San Francisco Giants are refuting a company's claim that the naming rights to the part of China Basin just beyond AT&T Park's right field wall, popularly known as McCovey Cove, have been sold and officially renamed. 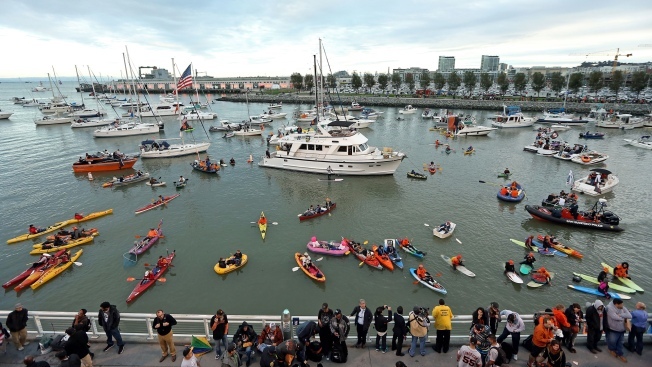 "The claim that naming rights of McCovey Cove have been sold is a hoax and completely false," the team tweeted Friday afternoon. According to the founder and CEO of Boatbound, a company that helps boat owners rent out their vessels, the name change was to take effect Friday as the Giants host the Kansas City Royals in Game 3 of the World Series, but the Giants said Friday the naming rights were not for sale. In a telephone interview Friday morning, Boatbound’s director of marketing, Craig Battin, told NBC Bay Area the naming rights would last beyond the World Series, but when contacted, the Giants said the whole thing was a hoax. "It is also completely disrespectful to one of the greatest #SFGiants of all time," the team said in a follow-up tweet. The company posted a statement on its website Friday afternoon copping to the hoax, saying, "The public response was overwhelming and we wanted to jump in before it went too far." Many Giants fan on social media thought the publicity stunt did go too far: "Don't EVER change the name from McCovey Cove!! What a slap in the face to Stretch," Sandi Wendland wrote on NBC Bay Area's Facebook wall.